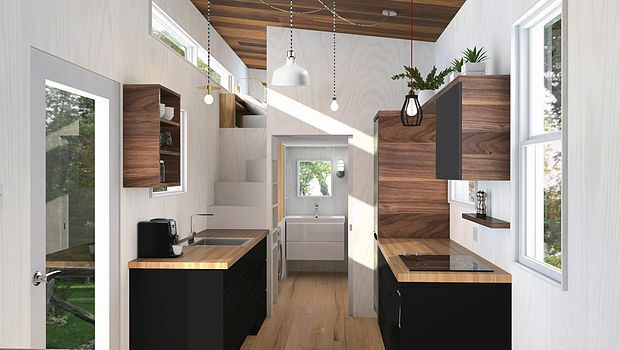 This beautiful, modern tiny house is a great minimal living space. 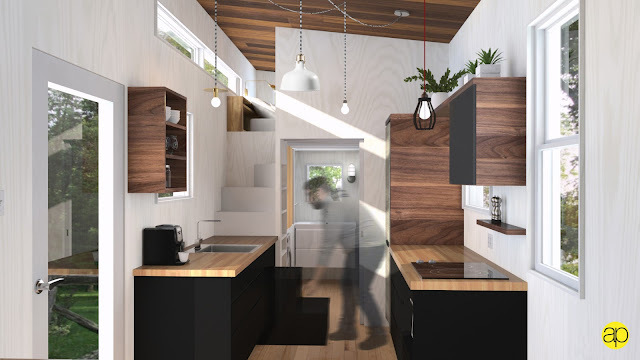 The home is a Praxis Workshop micro-house, exclusively manufactured by Minimalist; a home construction company based in Quebec City. 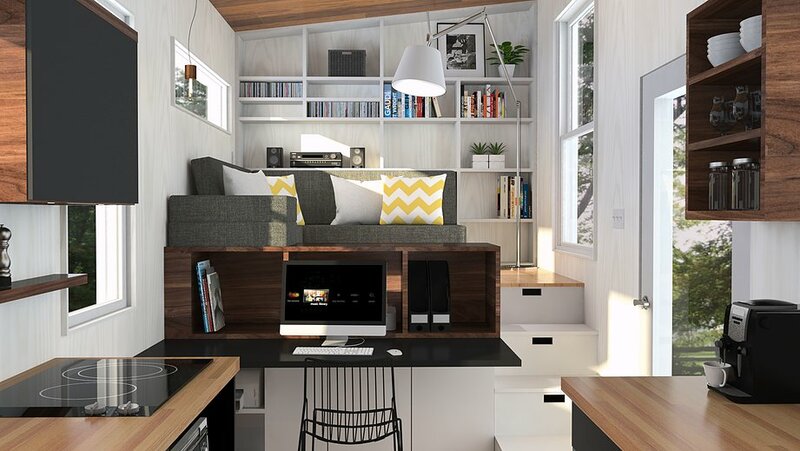 Inside the home’s 180 sq ft is a loft bedroom, kitchen, a full bathroom, an elevated living room, and a home office. The home’s most unique space is perhaps its living room, which can be transformed into a dining room or guest bedroom. 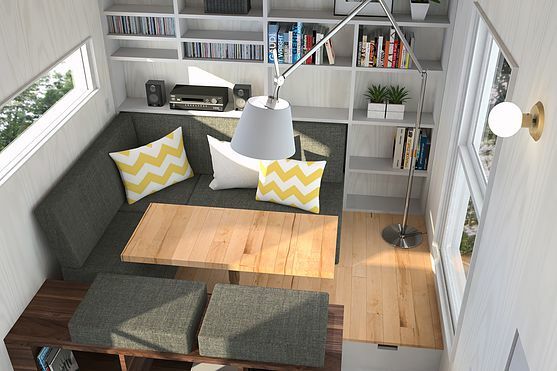 A hydraulic lift is located under the coffee table, which raises it to be used as a dining table. 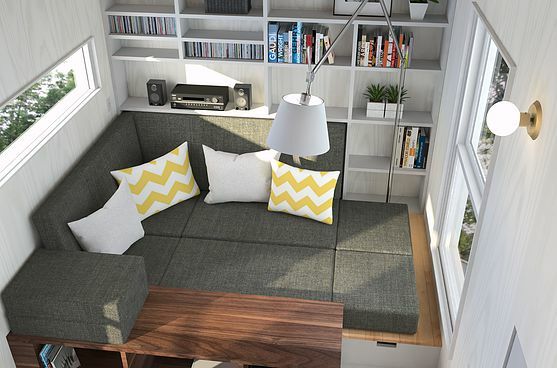 For a guest bedroom, the table can be lowered into the floor which allows you to rearrange the home’s sofa into a bed. Two other features found in the living room are shelf space to form your own home library, and a ceiling projector with a projection screen. 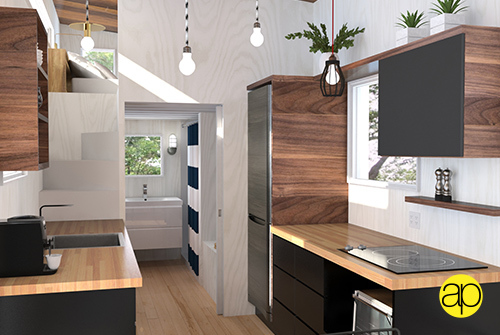 The home’s kitchen is relatively spacious for such a small house, which makes it a great option if you enjoy cooking. 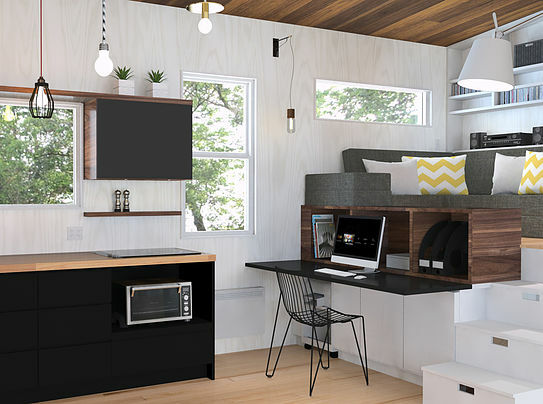 There’s 12 linear feet of counter space, a 24” fridge, a gas oven, induction cooktop, and plenty of storage. 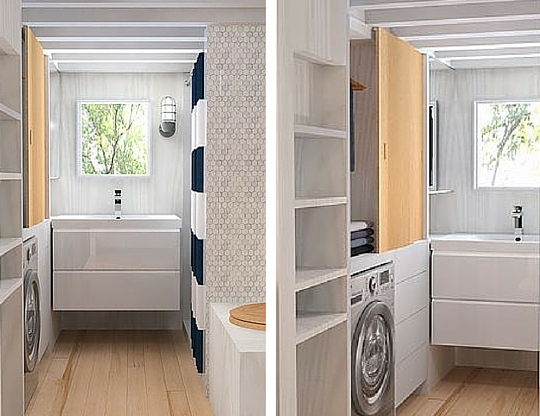 In addition to the home’s standard features, Minimalist also offers a rather extensive list of extra options and customizations. 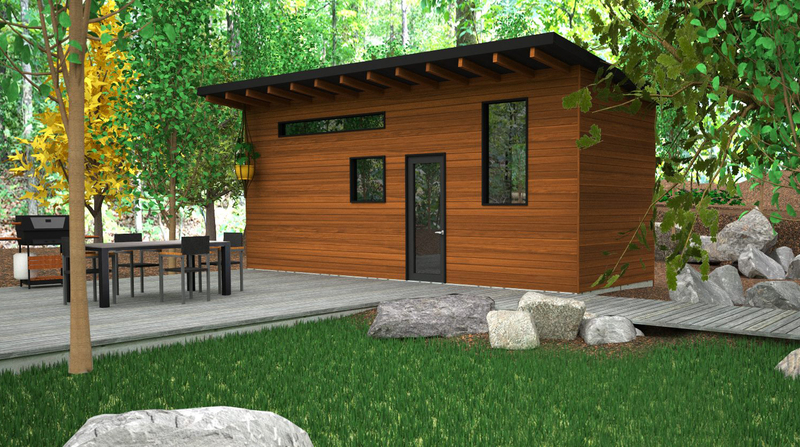 A few include a floor storage system, a dishwasher, a washer/dryer combination, a solar set, and an integrated sound system. You can find more info on the Atelier Praxis here. Also, if you like this home, have a look at Minimalist's Sequoia tiny house as well!